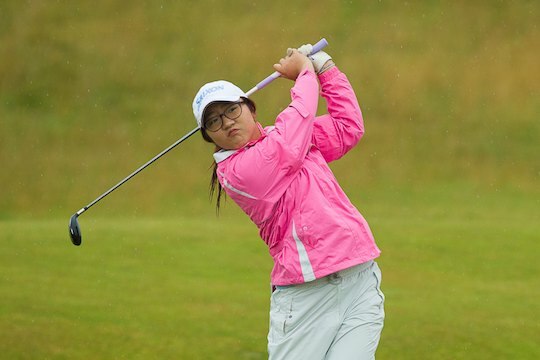 It’s back to school for 16-year-old wondergirl Lydia Ko this month – and it’s not tour school. No, the youngster already ranked No 5 in the world will instead hit the schoolbooks, as she attempts to catch up on almost a year of lost schoolwork. And while she’s doing that Ko and her team will make up their minds on just when she intends to take the inevitable step into the professional ranks. Ko finished runner-up to Suzann Pettersen in the recent Evian Championship in France, now classed as the fifth women’s major, before returning to a hero’s welcome in Auckland. No doubt they were buoyed by her suggestion in France that “the next time you see me I may be a professional”. She didn’t sound quite as certain of that on her return to New Zealand. “I now have exams until the end of November,” she said. “I haven’t said yes or no at the moment because I am going to concentrate on my studies. We are thinking if we play them I might be professional then. Ko has done nothing but succeed on the golf course this year. Her most recent performance in France – the best result for a Kiwi woman at a major championship – saw her zoom to fifth in the official world golf rankings. “I am pretty sure that since I won’t be playing any tournaments for a while my ranking will start dropping again,” she said.